Nigeria's former vice president Atiku Abubakar has won the Peoples Democratic Party presidential primary. 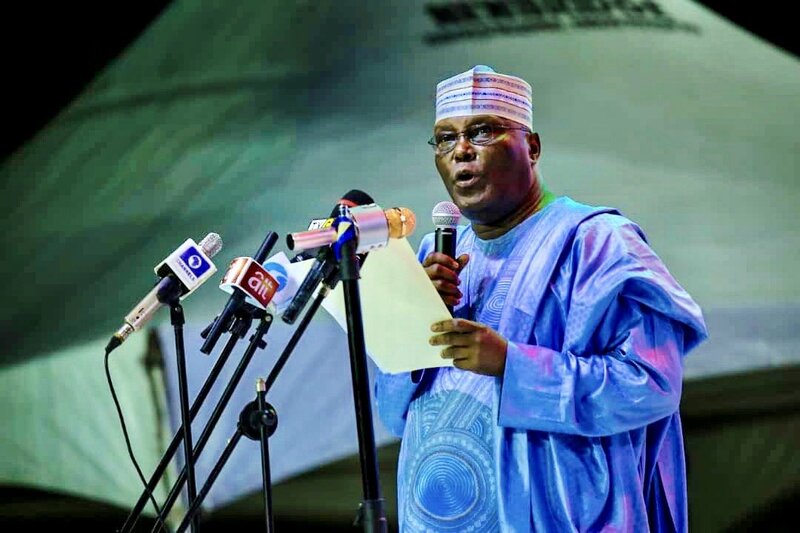 The Adamawa born politician will now face President Muhammadu Buhari who also won the All Progressives Congress primary at the party's convention. The PDP presidential primary was keenly contested with many of the aspirants staking claim to the coveted position. Parents of Atiku were against western education, so at first boy didn`t go to school. After some time government discovered this fact and his parents were punished. Mother paid the fine and father spent several days in jail. At the age of 8 Atiku Abubakar enrolled into the Jada Primary School where he performed well. In 1960. He was admitted to Adamawa Provincial Secondary School in Yola where he did well in English Language and Literature, struggled with Physics and Chemistry and Mathematics. He graduated with a Grade Three WASC/GCE Certificate in 1965. Following secondary school, Abubakar studied a short while at the Nigeria Police College in Kaduna . He has participated in 3 presidential runs in Nigeria. First one happened in 1992, second was in 2006-2007. Atiku took third place and got approximately 7%. Third one was in 2011 and he gained 22% votes while President Jonathan got 78% according to the primaries.